A vote for Gracie is a vote that counts! She’s not a Democrat or Republican. She’s from the WOOF party and she needs your vote! City Dog Magazine is looking for a new cover model for their winter cover and Gracie is a finalist! This magazine covers Seattle, Portland and San Francisco with places to go with your dog. 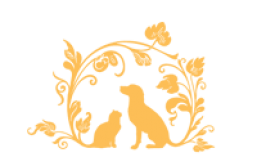 Dog friendly hot spots, eateries and dog friendly hotels. 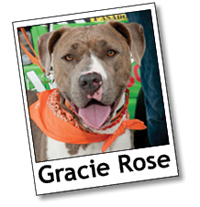 If you think Gracie should grace the cover please vote here. You get one vote a day on each device (computer or phone) and it ends October 30. As you know, Gracie was a work in progress. We fostered her through the Seattle Humane Society for seven months. She had severe skin and environmental allergies. The great vets at SHS worked wonders on her issues one at a time. Over time, caring for her, we fell in love with her. In the end, we couldn’t help but adopt her. The adoption was in March of 2012. In August of 2012 we attended Pasado’s Bark at Marymoor Park. After she did so well being the “test model” for how to check your pet’s health snout to tail, we entered her into the cover model contest. She won! Now she is up against five other dogs that won their respective contests at other animal events. If you would like to see Gracie grace the cover of City Dog Magazine, please remember to vote once a day. Along with the Seattle Humane Society, we want to thank all the other people who have helped us get and keep Gracie healthy: All The Best Pets, Civilized Nature, and Dr. Frank Bousaid at Harmony Animal Wellness Center. To all of Gracie’s fans, she won!! We want to thank ALL of you who participated with votes and Facebook postings and comments. We could not have done this without your support! You will find her mug on the cover of CityDog magazine winter 2013 issue. Again, thanks and great job everyone! Valerie, Bruce and Gracie too. Congratulations Gracie, Bruce and Valerie!! We are all so happy for you and look forward to seeing the magazine!